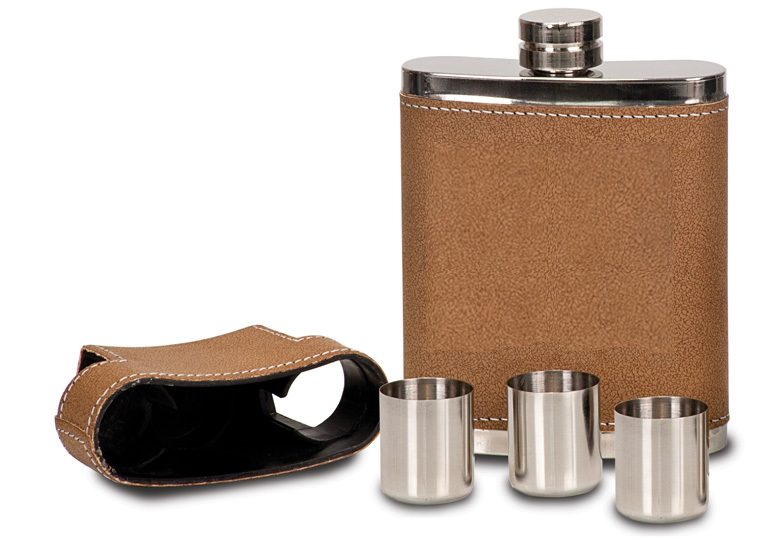 8oz Personalized Flasks Starting at $19.95 | Choose From 6 Different Engraving Layouts. 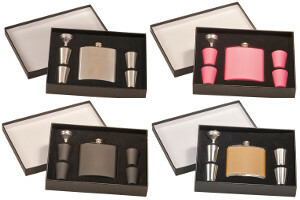 View our selection of personalized flasks including custom engraved flasks and our new full color photo flasks! 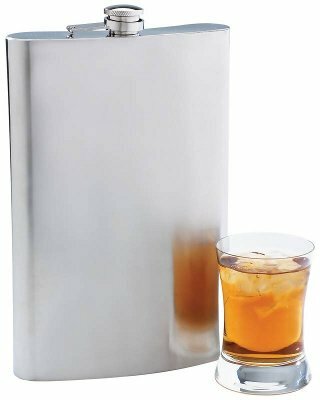 At JMPFlasks.com we use precision lasers to create your engraved flasks, revealing a stark black image that will not wear off. 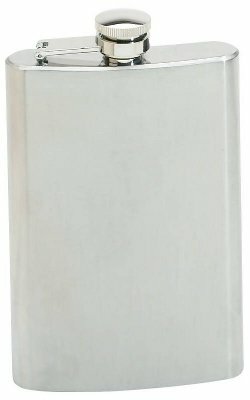 Our personalized flasks feature heavy-duty yet light-weight construction and can be custom engraved with monogram initials, text, personal messages, Greek letters, logos, and photos. Step 1: Click on a flask type below to begin creating your own personalized flask. 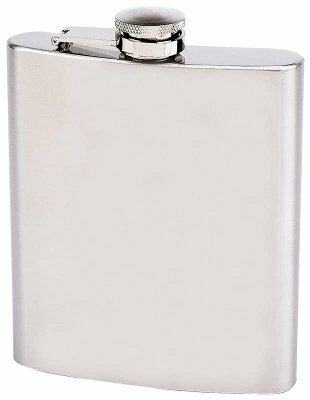 Our custom engraved flasks feature stainless steel composition that will not easily scratch, tarnish or rust making our personalized flasks one of the most reliable method of storing beverages for personal use. 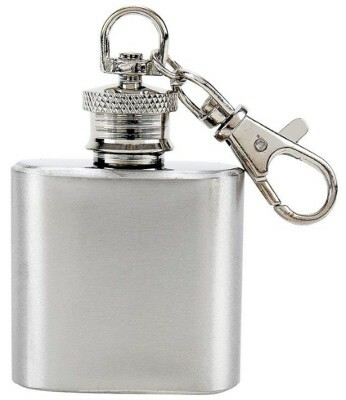 The screw down cap on our personalized flasks ensures that no liquid will escape when you are on the move. 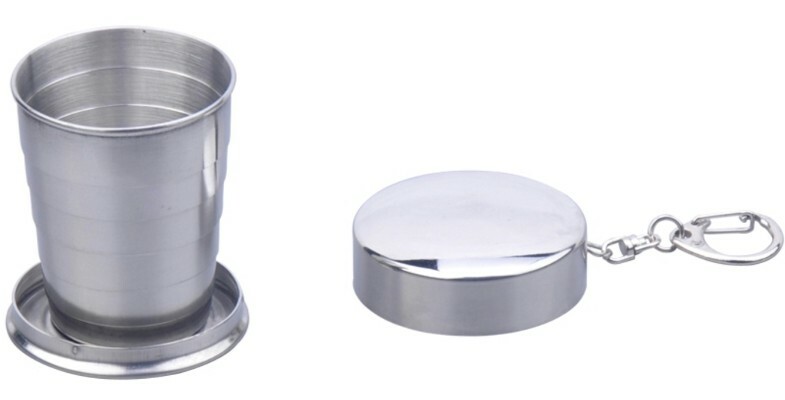 The cap is also attached to the flask so you will never have to worry about losing it! 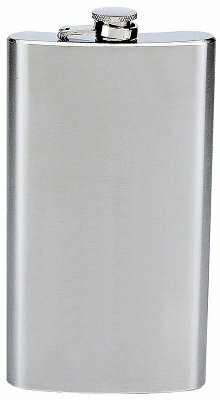 We can custom engrave almost anything to create your personalized flask including: text, logos, Greek letters, Monogram initials and almost any black and white image. We also now offer a full color photo personalized flask! 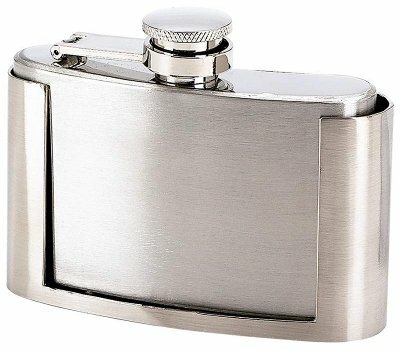 Regardless of the number of letters or lines of text — front side engraving of initials, dates, phrases or any other wording is included in the cost of our personalized flasks. 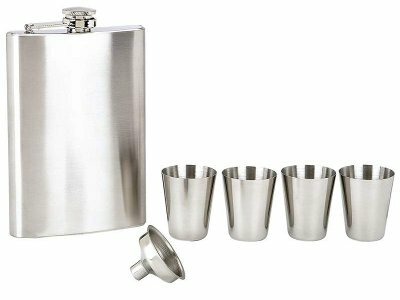 We try to make it easy to order our personalized flasks online and provide you with numerous personalization options and layouts. However, if you have a special request please feel free to call us to place the order. 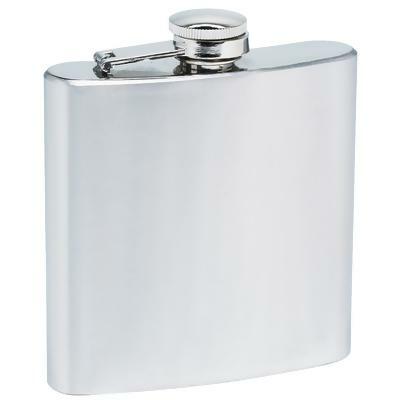 Also, we can engrave both sides of your personalized flasks by special request for a $10 fee. There is a $10 artwork fee for logos or photos that you e-mail to us (yes, we can engrave photographs into stainless steel!). Our new full color photo flask is only $39.95 and that includes the artwork fee! For best results please submit photos at a minimum resolution of 300 dpi. 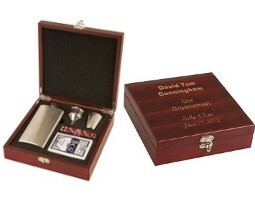 Lower resolution photos can be used to create engraved flasks, but the quality of the image is best when higher resolution photos are submitted. 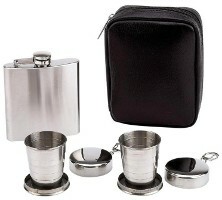 We believe that JMPFlasks.com offers the top personalized flasks shopping experience. 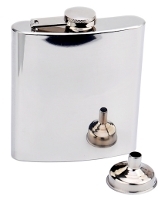 We take pride in the quality of our flasks and custom engraving. But, you don’t have to just take our word for it. 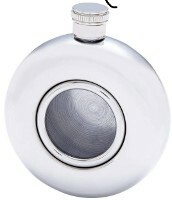 Go to our personalized flasks reviews page to see what some of the top bloggers are saying about our custom flasks. We also dare you to compare our pricing and nearly unlimited engraving options to that of our competitors like eflasks.com and flaskshop.com. 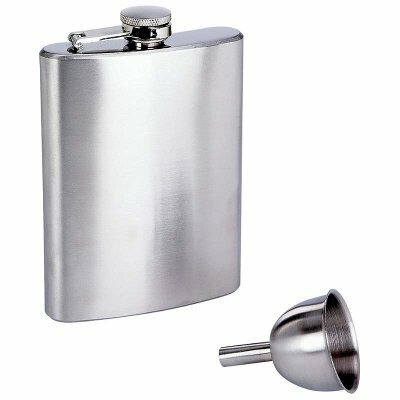 Go ahead and check them out, compare their prices to ours, and then come back to JMPFlasks.com to customize and buy your personalized flasks. 4. 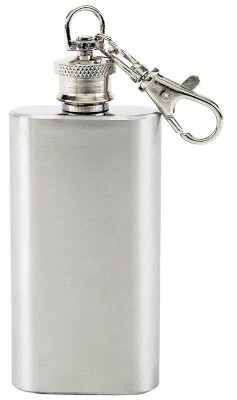 Only use the flask in appropriate settings and always drink responsibly! Cheers! 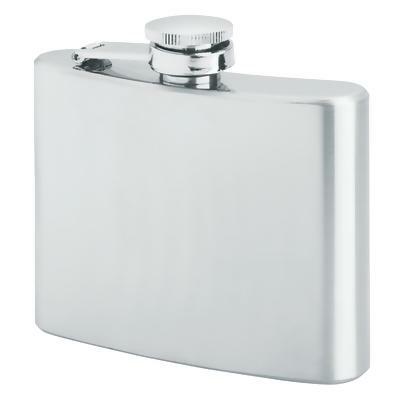 Our personalized flasks are guaranteed to be free from defects in material and workmanship. If a problem occurs, please return the product to us (postage prepaid) and we will replace it. You will only be responsible for the cost of shipping the replacement back to you. Warranty does not apply to dents or scratching of the engraving or surfaces as that is a result of normal use. Warranty is void if the item has obviously been abused or damaged.